Hubby came up with a BRILLIANT theory. perhaps Mathilda’s two acute problems are linked. If she is slightly (I hope) sore on the front that might get magnified by her wonky hind-end. If you are walking crooked to start with, trying to tip-toe at the same time is not going to be pretty. Fix one, fix the other. Last time I looked into removable shoes, Easy Boots were the only option. Now horses have a whole closetful of options, of various materials and technical abilities. Mathilda needed cushioning but the shoe didn’t have to stay on for nor stand up to exercise. Our local tack store, Carousel Tack Shoppe, recommended the Hoof Shoe. Blinking at the price, we bought two. 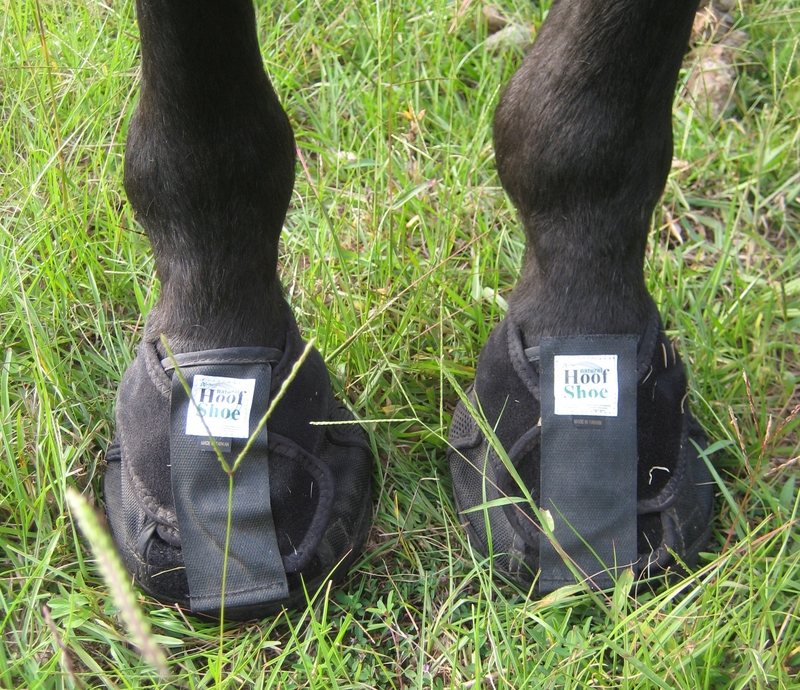 Her new booties have a thick pad at the base and come up to her fetlock. Hi-tops for horses. The above ground section is a combination of webbing for ventilation, stretchy material for fit, and hook-loop closure for security. We could see her relax as soon as she put her foot down and felt the cushion underfoot. She immediately moved better. Still appalling, but at least baseline appalling. 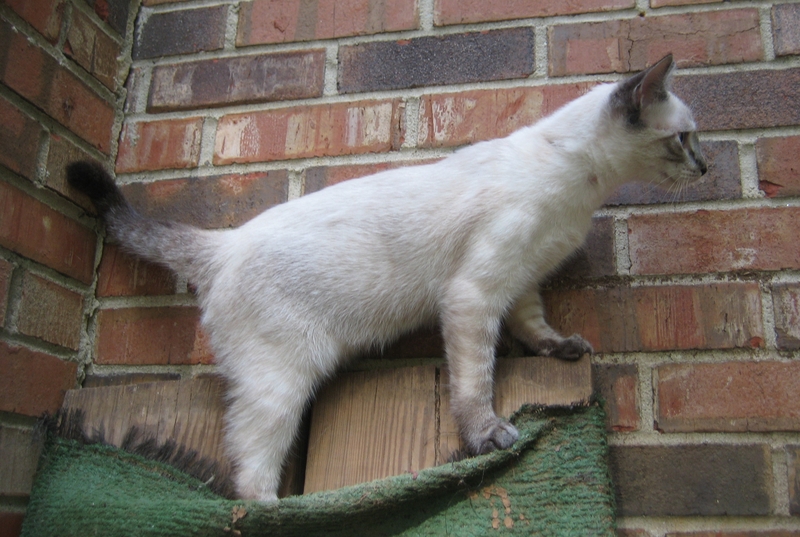 She also looks a bit more foursquare and even a little plumper, as if she is standing more firmly and is more relaxed. Her minions finally came up with the right answer. Silly minions. If she is more willing to move about, she may be less stiff in the morning as well. We shall see. So far so good. All my worries of yesterday are still valid. Just not today. Experiences? “Removable” is the operative word. If we’re talking about the late lamented Toddy and Easyboots, that is. To be fair, though, he also had a talent for removing the supposedly-non-removable kind. Complete with chunks of hoof.